The purpose of the CEO role is to provide a strategic and operational lead for all functions of the Town Foundation and to assist in its growth. The Town Foundation’s Chief Executive Officer will provide an inspirational leadership to the team and accountability to the Trustees. Siobhan’s influence in sport began in 1999 working with England Netball. She was an Area Development Officer helping to grow links with schools and local communities before moving into the role of Communications Manager. From this she went on to hold roles at the Football Foundation, at Barclays Spaces for Sport and to work at the London 2012 Olympics. The variety of roles enabled her to win a number of awards and make a difference in the world, helping to build a sports facility in South African Township. Siobhan then spent eight years as Community Development Executive at the Premier League with the responsibility of overseeing strategy and the implementation of Good Causes Funding, which was worth over £160 million. Alongside this, she also set-up a number of schemes including the Premier League Girls programme and was part of creating the Premier League Schools tournament, which saw over 10,000 young people take part. From there, she worked at Leicester City on a consultancy basis as Community Director, before being an Equality and Diversity Consultant at Stoke City. Prior to her switch to the Town Foundation, she was Director of Projects at the Rugby Football League. Now, Siobhan is tasked with helping the Town Foundation make an even bigger impact in the local community. 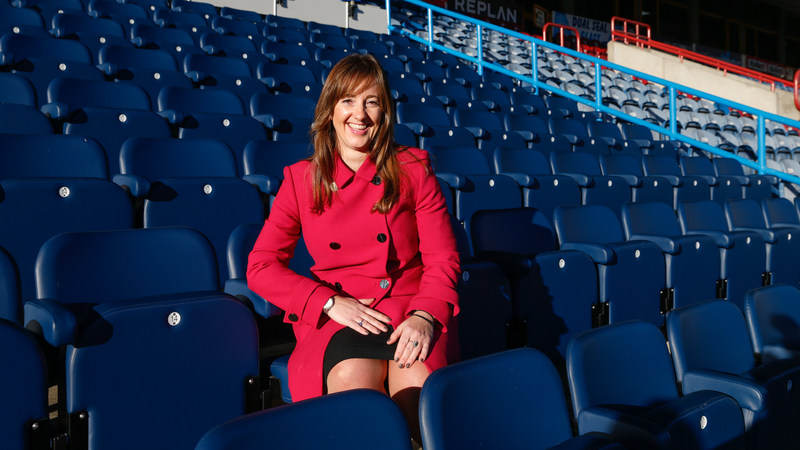 “I’m delighted and excited to be afforded the opportunity to lead the Huddersfield Town Foundation. “Much great work has been achieved already through the vision of Dean and Janet Hoyle and the whole club is fully committed to this area of work.